Our previous blog post outlined all the amazing new features coming to your Springshare tools. But one of these features is so big and important that it needs its own post – support for COUNTER 5 reports in LibInsight. Before we dive into this awesome functionality, let’s start with the basics. What is COUNTER r5 and what’s the difference between r4 and r5? R5 of the COUNTER Code of Practice represents the 5th release of COUNTER – the standard for counting the use of electronic resources. COUNTER r5 requires content providers to deliver reports in Release 5 formats starting with January 2019 usage. COUNTER Release 5 contains several metric types, different than the metric types available in Release 4. Investigations – Measure an expression of interest in a content item or title. I.e. a patron viewing an article abstract would count as an investigation. Request – Measure access to a content item or title. I.e., a patron downloading an e-journal article or e-book chapter. Contains four different types of search metrics from searches_regular to searches_platform. This new metric has two different types to account for user denial — lack of institutional access and simultaneous users maximum has been reached. These new metric types provide several new measurement tools of your e-resource usage. We’re a small crew but we live and breathe library software so we took it upon ourselves to make LibInsight one of the first software platforms to support Counter r5 analysis. If our libraries need it, we’ll have it – that’s our motto. New E-Resources / COUNTER 5 Dataset is Available in LibInsight! Navigate to your LibInsight system > create new dataset > select E-Resources / COUNTER 5 to create your new r5 dataset. Because the new r5 reports are material-type agnostic, you can combine reports from e-journals, databases, and even e-book usage in one place. Additionally, you’ll notice a few changes to the display in reports, to better match the data provided by COUNTER r5. Specifically, the new LibInsight dataset will no longer show data by searches, sessions, and downloads. Per the above new metrics, data will be reported about investigations, requests, searches, and access denied. The table also shows you the number of databases, eBooks and journals in your e-resources. Toggle these columns to manipulate the table display however you’d like! LibInsight automagically calculates the cost-per-usage saving your e-resources librarian loads of time…. all in easy to download csv or pdf reports. You Asked For It… Access Denied Reporting! With the new r5 dataset, we’re happy to announce new Access Denied reporting! This way, you can view patron requests to data where access was denied due to lack of institutional access or simultaneous licenses maximum was exceeded. This is extremely valuable data when deciding to purchase a new resource or expand the licensing for current resources. Which r5 Reports Does LibInsight Support? Right out of the gate, LibInsight supports the Platform (PR) Master Report, the Database (DR) Master Report, and the Titles (TR) Master Report. Because we’re supporting all the Master-level reports, you don’t have to worry about which ‘view’, for example Title Report view 1 or Database Report view 1, you might need. We’re taking all the guesswork out of the equation by gathering all of the data via the Master Reports. By supporting the Master-level reports, we are, by default, supporting just about everything that has to do with COUNTER r5 reporting. Talk about efficiency for the win! Importing Reports Just Got a Whole Lot Easier! To make things even easier for librarians, the new LibInsight Dataset now has several automated features to make it even easier for you to get started. 1. Importing Platforms from another dataset. Most likely, you’re already using the the current E-Resources/Databases (r4) dataset in LibInsight and you’ve spent time creating all your platforms in there. Rather than recreating those platforms, we provide an easy import option to import the platform names/titles into the new r5 dataset. And, we added notification features – so when scheduling future SUSHI harvesting, you can choose up to three users to be notified via email when the fetch is complete and the data has been added to your dataset. Test Your SUSHI Harvesting… Before You Harvest. We’re always so grateful to our community for the incredible feedback they provide us, and this specific piece of feedback deserves virtual cookies to all that sent it in… calorie-free, of course. When setting up an e-resource for SUSHI Harvesting, we now offer the ability to test the harvest first. This way, if you’ve entered the wrong API key or the requestor ID is not formatted correctly, you’ll know right away instead of 3-months from now when you try and run your first scheduled fetch. Plus, if something isn’t formatted correctly – we’ll provide on-screen instructions to help you correct it. We’re Looking for Your Feedback… Always. Because r5 is so new and LibInsight is one of the first data-analysis tools to offer r5 support, we need to hear from you on how you need the new E-Resources / COUNTER 5 dataset to function. Please send along your feedback, thoughts, comments, and ideas (and virtual cookies too, Springy Carrie is always hungry) and we’ll work on incorporating your feedback into future updates. Wow, it’s March already! For many of us, March brings warmer weather, longer days, and a general uplifting of spirit after a long winter. Well, Springshare is here to lift your spirits even higher with a ton of awesome updates for your Springy apps. Plus we’re sharing exciting LibWizard news! These releases are on their way to you this week, and will be live in all regions by the end of the day on Friday, March 15. We’ve had some great feedback from customers who are using the online payments feature in LibCal – thank you! In this release, we added more payment processors and extended payment support to equipment bookings, too! There are also new billing rate types to allow for more flexibility in how you want to set up your charges for bookings. If you’re interested in activating online payments in your LibCal system, let us know! Don’t miss the upcoming Training Tidbit session (Wednesday, April 3rd) that will take you through many of these great new features! Parent/child relationship for groups of spaces. For example, set a large meeting room as a parent of two smaller meeting rooms. If the parent space is busy, none of the child space will be available for booking, and if any of the child spaces are busy, the parent space will be unavailable to book at that time. To set up the parent/child space relationships, head to Admin > Equipment & Spaces > Click on the Spaces link for a Location > Edit an individual space > General tab. Individual Space Landing Page & Link: We’ve added a standalone, perma-linked landing page for individual spaces. It has the availability grid for that space, directions, more information about the space, etc. Friendly URLs for Events: Navigate to Calendars > Choose a Calendar > Add/Edit an Event to use this new option. Copy Event Info From An Existing Event When Creating a New Event. Go to Calendars > Choose a Calendar > Create a New Event, then click on the ‘Find an event to copy’ link at the top of the Add Event screen. Exchange/Outlook Title Setting Options: the Exchange/Outlook Event Title selections now have three options: ‘Use Patron Name’, ‘Use Public Nickname,’ and ‘Use Patron Name + Email.’ To see these, head to Admin > Equipment & Spaces > Edit Location > Exchange/Outlook tab. Anticipated Attendance: A new informational field for events to help make decisions on which space should be booked. Go to Calendars > Choose a Calendar > Add/Edit an Event to see this new field. New Patron Activity Statistics Page: There’s a new stats report for user (patron) activity. The report shows a monthly table with the number of appointments, events, spaces, and equipment reservations were made by patrons. Head to Stats > Patron Activity to check it out. The option to delete individual availability time slots via click is back! Head to Appointments > Availability and then click on any available time slot on the grid to access the delete modal. Location field in iCal files: We’ve corrected an issue where this field was not populating correctly. Public Appointment Widget conflict with availability and Outlook busy times: We’ve corrected an issue on the public appointment widget: now slots marked ‘Busy in Outlook’ are appropriately made unavailable in widgets. LibAuth setup wizard: If you’re brand-new to LibAuth and are a member of the InCommon or UKFederation, setup is a breeze: just search for your institution name, and we’ll set up the rest! Accessibility fixes: We eliminated duplicate IDs on the Guides by Subject page, when guides were assigned to multiple subjects. We also removed “Navigate to” from the beginning of the ARIA labels for page names. Use your screen reader to navigate to another page in a guide by typing the first letter of the page name (YMMV!). Guide statistics: We redid the back-end and improved the speed and waiting time of some long reports. LibApps admins can now enable/disable others’ LibGuides profile pages. LibInsight: COUNTER r5 is here! We’re super excited to announce that starting March 2019 you will be able to fetch COUNTER r5 usage reports from compliant vendors. SUSHI fetching capability is a requirement for compliance with this new release of COUNTER, and that has been our focus with this release. You can schedule a single report fetch, or you can set it and forget it! Choose either the Platform, Title, or Database Master Reports and schedule a monthly, quarterly, semi-annual, or annual fetch of these reports. Choose up to three users who will be notified once each report is fetched and processed. Why Master Reports? We’re gathering all the data for you so that you can narrow it down as you wish during analysis. Fetch it once, analyze to your heart’s content. With this initial beta code release, you’ll be able to fetch and analyze reports, use them in Cross-Dataset Analysis, and in Dashboards. Why “Beta”? Release 5 of the Counter Code of Practice is substantially different to earlier releases. You’ll still be able to see which of your platforms, databases, and titles performed the best and were searched the most—including cost-per-use analysis—but we are still polishing the interface and want to learn from you how best to make those tweaks. So check out COUNTER’s Friendly Guide for Librarians, then take a COUNTER r5 dataset for a spin and let us know what you think! We have an upcoming April training session to help get you started. Link to the ticket from the RefAnalytics Transaction Explorer. Link to transaction in the Knowledge Base Explorer. Tickets & Reference Analytics: In the Knowledge Base Explorer, tickets now show links to the related RefAnalytics record, if one had been submitted. In the RefAnalytics Transactions Explorer, the related Ticket is linked in the first column, if it’s related to a ticket. Now it’s easy to get those additional ticket details, if/when you need or want them! Internal setting – fewer distractions! In the new LibChat Dashboard, the “Internal” setting now prevents ticket alerts from popping up. No more missing LibChat charts: We fixed an issue that sometimes resulted in no charts displaying in LibChat stats. No more interference: We fixed an issue where LibChat widgets that aren’t in use were interfering with other page functions. API: We’ve developed API support using OAuth 2.0 for LibStaffer! Head to Admin > API to check out the available endpoints. Drag & Drop for Shift Scheduling & Time Off: Click on an existing shift and drag it into a different “time interval” to modify the start and end times of the shift, assign staff members to existing shifts, and even create new shifts by dragging a staff member’s name from a new panel listing each member assigned to that schedule. Go to Schedules, then click on ‘Show Drag/Drop Shift Option.’ The Time Off schedule view also has this drag & drop functionality. Free/busy status check for Outlook calendar sync during shift assignments: A new setting in the Outlook/Exchange setup will checks users’ free/busy times in Outlook for shift assignments. Go to Admin > Accounts > Edit Account > Calendar Sync > Outlook/Exchange Settings to enable this feature. Time Off Recurrence Options: Set recurring time off Weekly (with new options for every week through every 8 weeks) or Monthly! Head to Time Off > Add Time Off > Recurring Time to check out all of the new options. Staff Member Pay Rates: For each user account, there are new fields for Regular & Overtime Hourly Pay Rate as well as a Daily & Weekly Overtime Threshold. These rates are used in the Time Clock reports to show how much an account holder earned during any given shift. Head to Admin > Accounts > Edit Account > Pay Rate to set the pay rate values for each account. Customize your currency display at Admin > System Settings > Currency Display. Time Off Approvals now contain Supervisor name and Requested Time. We’ve also added a History button, which will show the associated time off detail for a user’s past 12 months. Go to Time Off > Time Off Approvals to see the new report format and options. Staff Current Status Report Enhancements: We’ve made it easier to get to this report from any screen! In addition to clicking the “View Current Status of All Staff” button on the Home page, you can simply click Staff in the orange command bar. Go there using either option to see an enhanced format of this report, including additional filter options for Status. New Location, Department, and Position Fields: Head to Admin > Org Hierarchy to set up these new Admin-defined fields for use in all LibStaffer user accounts! Add locations, departments, and positions (including an option to mark positions as a Supervisor role) to your system, then go to Admin > Accounts to assign each account their appropriate location / department / position. This release lays the groundwork for this feature. The Supervisor option has related functionality now (see next bullet point), and as always, we’d love to hear your ideas for how to best use this new LibStaffer feature! Time Off Requests Routing: There are a couple of new fields on the “Manage Account” screen that relate to routing of time off requests! First, there’s the “Direct Supervisor” field: set your own or Admins can set any account holder’s Direct Supervisor by going to Admin > Accounts and editing any account. Once that’s set, you’ll see the new “Time Off Requests” field: choose to send time off request emails only to your Direct Supervisor or your Direct Supervisor and all admins. Recurring Shift Notes on the Scheduled Shifts Report: We’ve corrected an issue where recurring shift notes were not appearing on the Scheduled Shifts Report. We fixed an issue where some LibWizard forms/surveys might not show up in the list when using “Add LibWizard items” in LibGuides. We added a proper 404 page, so when your patron clicks on broken links or deleted forms, they’ll know what’s wrong. That’s it, you ask? Not at all! We’ve been busy with this other little side project called…LibWizard v2. 🙂 That’s right, LibWizard has been re-written from the ground up! LibWizard v2 addresses a lot of issues and pain points with v1, and will bring significant improvements to the Assessments/Tutorials module. We‘re so excited about it and can’t wait to share it with you! Stay tuned, LibWizard v2 is coming April 2019. Whew! That’s it for this round of updates from Springy HQ. We would like to thank you, our user community, for sharing all your great ideas with us! We love making them a reality and look forward to bringing you many more in 2019–this awesome year has just begun. We are always here for you if have any suggestions or questions. Wow, do we have a ton of end of year updates to share with you – we have new LibAuth, LibGuides, LibCal, LibAnswers, LibInsight, and LibStaffer features to share! This time we’re doing something different with the announcement – rather than spreading out the announcements in multiple blog posts (one per product) we’ll outline them all here, in a single post. These releases are on their way to you next week, and will be live in all regions by the end of the day on Wednesday December 19th. LibAuth now supports SSO logins via OAuth2 and Sirsi Symphony. If your SSO supports the OAuth2 protocol, or if you have the Sirsi-Dynix Symphony ILS, you can now set up LibAuth configurations that will use these methods. Use LibAuth to authenticate patrons for LibCal Space Bookings, events, LibGuides E-Reserves, or to place your LibGuides site, group of guides, or a single guide behind authentication. LibApps admins can head to LibApps > Admin > LibAuth Authentication to see these two new options. In LibApps, if you switch to a custom domain or change an existing custom domain for your LibGuides, LibCal, or LibAnswers site, we will request & install a free Let’s Encrypt security certificate before we put the domain change into effect. This ensures that all traffic to your sites continues to go over HTTPS rather than over the insecure HTTP protocol. If you haven’t yet read our blog post on making all your Springy traffic HTTPS, check it out now. We’re also adding two more customizable fields to the Primo Search Source, when you set it up to show Primo results inside your LibGuides & LibAnswers search. The two new customizable fields are for changing the scope and tab name. Head to LibApps > Admin > Search Sources to set this up for Primo. Over in LibGuides, if you have LibGuides CMS and have implemented IP Access Restrictions for your site, group, or guide, you will no longer see results for these IP-protected assets in search results, unless you are inside the required IP range. Your IP-protected guides will only show up in search results for users within valid ranges. Speaking of A-Z list, we’ve made a small change to the way that A-Z Databases search works with filters on the public A-Z page. Previously, if you filtered the page view to a subject, vendor, or type, and then did a search, these filters conflicted, resulting in incorrect search results. Now, when you search filtered results, you’ll correctly see databases that match your search term AND your filters. We fixed the A-Z Databases map count, which were incorrect in a few instances. When you’re using a A-Z page template that contains a custom content box with A-Z databases in it. If you’re using IE11 or on a mobile device. We’re happy to announce that LibCal now has an online payments component built right into the system, and it comes with no additional fee – it’s a standard part of your LibCal system. Online payments are being added to event registrations and spaces first. Support for payments on equipment bookings will be coming soon (late January/early February). We’re doing a limited online payments release to early adopters, until we polish all the payments features over the next few weeks (the wide release will be later in January). If you’re interested in being an early adopter for online payments in LibCal, let us know! For a sneak peek at how this functionality is integrated within LibCal, check out the December Springy Newsletter feature on LibCal – Way to Pay. We’ve added a simple honeypot captcha to Event booking forms, to help reduce spammy event registrations. This captcha method doesn’t display to the patron at all, so you won’t see anything different in your registration forms, but spambots will run into hidden fields that are designed to catch them and prevent the form from being submitted. We’ve updated our Spaces Exchange Integration to support displaying Space reservations in Exchange using either the patron’s name, or a nickname they enter as part of the registration form. This is designed to assist folks who are relying on the Exchange integration to tie in with an external room panel. To try out this new setting, head to Admin > Equipment and Spaces > Exchange/Outlook and look for the Title Setting toggle. We’re thrilled to announce that our new screensharing & webinars functionality is here! We went way beyond just basic librarian-to-patron sharing of screen during chat. Patrons and Librarians can also request control of each others’ screens, do an audio chat, start an optional webcam share for a face to face chat, annotate the screen to help guide your users in the right direction, save and send screenshots… and that’s just the basics. Also, why stop with two people – have a screensharing/webinar session with 3, 4, 5 or more people – the more the merrier! It’s all there, in LibChat. Supported Across All Browsers – Whether you or the patron are using Chrome, Firefox, Safari, or some other browser… our screensharing works across all browsers. Supported Across Multiple Operating Systems – From Windows to Mac OS, from Ubuntu to Mint… we’ve got you covered. Works on Tablets & Mobile Devices – From Surface Pro 2 (running Win 8.1 / Win 10) to iOS/Andriod devices and even on Slaven’s beloved Blackberry (yes, we went there! )… you can screenshare with users on multiple device types. Audio & Video Options – You and the patron have the option to turn on your mics and webcams to enhance the screensharing experience. Screen Annotation – Annotate screens, draw attention to certain elements, type up notes, and then save the screenshot and send to the patron. Multi-Person Webinars or Virtual Staff Meetings – Screenshare as a group for internal meetings, staff webinars, etc. Why should only two people have all the fun? Distance Education Support – With our screensharing and webinars, your library can better support distance ed programs at your institution. Saved Recordings – Optionally, save your screenshare session and share it with relevant parties. Screensharing is an optional module but it’s included free to all our Suite customers. Non Suite users can join in the fun too for $199 for this module – we worked hard to bring enterprise-class screensharing & webinars solution that costs thousands to every library that needs it, for less than a daily cup of joe at the local deli. That’s what we’re all about – delivering outstanding value to our libraries that we’re privileged to serve and work with. Based on the amount of emails and inquiries we received since we told you about our screensharing plans, we know that you will want this installed, like, yesterday. But in order to ensure the stability of the infrastructure the rollout will be gradual, over the next couple of months. If you want to be an early adopter please let us know you’re interested and we’ll go from there. Department Monitoring Update – We’ve updated the way we display information on who is publicly monitoring chats for each LibChat department. Previously we were displaying availability for each user in each department based on their overall online/offline status. Now, we’ll display this information based on whether the user is specifically publicly monitoring/not monitoring each individual chat department. To see this in action, head to the LibChat dashboard > Select a Department > Click Department Members. We’ve been working hard to bring you some special gifts this holiday season including awesome new features like copying shifts, SMS alert notifications, Geofencing and OAuth authentication for Outlook/Exchange calendar syncing. Copy Shifts – By popular demand, you now have the ability to copy shifts and their assignments to the same or different calendar. Open any schedule, select the settings icon drop down and select Copy Shifts access this feature. SMS Alert Notifications – SMS alert notifications are here! Select which LibStaffer alerts to receive through SMS text messages or email (or both). Head to Admin > Accounts > Edit > Email & SMS Alerts to check out this new feature. Geofencing – We’ve developed a way to put a distance restriction on where staff members can either clock in or clock out within a specified radius from a schedules physical geographic location. Check out this new feature to set your geofence restrictions and schedule locations latitude/longitude by going to Admin > Schedule Settings > Edit Settings > Location & Time Clock. OAuth Authentication for Outlook/Exchange Sync – A brand new way of syncing to Outlook/Exchange, using OAuth tokens instead of having to enter and update login passwords. This new way is more secure than storing of Outlook/Exchange passwords. Head to Admin > Accounts > Edit Account > Outlook/Exchange. Workflow Submissions Explorer Recipient Filter – We’ve improved the workflow forms submission explorer to include a notification recipient filter. You will now be able to use this filter to see only relevant form submissions that included a specific notification recipient. To run the explorer with this new filter head to Forms > Submissions Explorer. Max Hours per Day – The ability to set the maximum number of hours a day a staff member can work across all schedules in one day. Manual shift assignments and the auto scheduler will take this new value into account when checking availability when scheduling staff members. To set a staff members max hours per day that they can work, go to Admin > Accounts > Edit > Manage Account. Custom Week Start Date – Beyond Sunday and Monday, we’ve now brought you the ability to set the ‘Week starts’ date to any day of the week. The proper support has also been added for manually assigning staff and running the auto scheduler to determine availability. Go to Admin > System Settings to set your ‘Week starts’ value to any day of the week. Multi View Start Date – We’ve modified the multi schedule view display where if all the calendars selected for the multi view have the same week start date, the calendar view will start on that same day of the week. To view this change, go to Schedules > Multi-Schedule View Only and select calendars that all have the same week start date. Shift Swaps with Outlook/Exchange sync – We’ve improved the shift swap sync process for Outlook/Exchange where after a shift is successfully swapped between two staff members, the shift that each staff member was assigned to prior to the swap will be removed from the Outlook/Exchange calendars. Consistent first and last name display – We’ve gone through all of LibStaffer and anywhere an account name appears it will display as First Name Last Name sorted by Last Name. Many of the new features and functionality in Springshare tools came as a direct result of you, our customers, sending us your ideas, suggestions, pain points, constructive criticism, and kudos. We can’t thank you enough, and we promise so much more good stuff coming your way in 2019 – new features, enhanced functionality, new products… all with one singular purpose – to make your library workflows better and for you to continue impressing your customers and making them love and appreciate their library and their librarians even more. Thank you for your amazing suggestions and ideas in 2018, and here’s to a lot more goodies in 2019 and beyond. As always we’re here for you if any questions pop up. Fetch, LibInsight, Fetch! Good LibInsight! It’s nearly Independence Day here in the U.S., and your friends at Springy have a firecracker of an announcement for you: SUSHI scheduling! 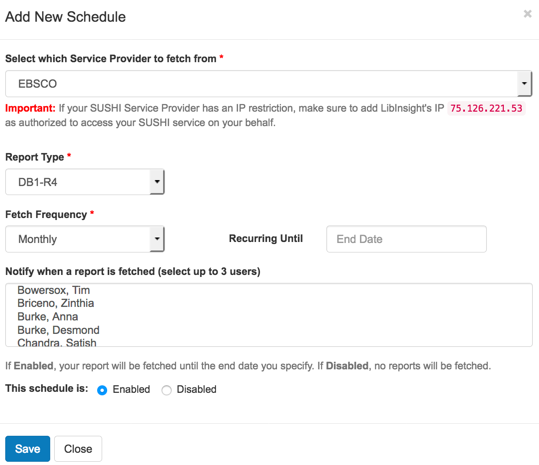 You can now schedule the automated harvesting of supported SUSHI reports, on a monthly, quarterly, semi-annually, or annual basis, to your E-Journals / Databases or eBooks datasets. Gone will be the days of retrieving one file at a time (but you still can, if you want to!). Just set it, and forget it, until it’s time to analyze. You will receive an email each time a file is successfully harvested and added to your dataset, or if a fetch fails for any reason. Your SUSHI credentials from e-resources vendors. The list of reports that are supported by each vendor. We support DB1(r4), DB3 (r3), PR1 (r4), JR1 (r4), BR2 (r4), but not all vendors make all of these available via SUSHI. A LibInsight E-Journals / Databases dataset, or an eBooks dataset, with platforms added. Protip: Be sure to specify your SUSHI provider in your platform information. This will mean that the SUSHI provider is pre-selected when you set up a new SUSHI schedule. To get to Platform Information quickly, click Datasets in the orange command bar and look for the cog icon. To set up a new schedule, go to that dataset’s Record Data page, choose a platform, click Schedule Future SUSHI Harvesting, and click Add New. Please see our help documentation for E-Journals / Databases and eBooks datasets for complete information on when your scheduled SUSHI files will be harvested and added to your system. If you’re not signed up for today’s Getting Started with LibInsight training session, check out past recordings, and keep an eye on our training calendar for more upcoming sessions. It’s now possible to add Cost Data for future years. Regular users with a dataset Admin permissions are now able to add platforms. We added support for SUSHI harvesting from Thieme, Adam Matthew Digital, Lexis/Nexis, and Springer Nature. If your custom dataset’s timestamp is set to “Show One Date Only,” and the field is set to “Show Time,” a time picker is displayed rather than a date picker. We fixed a couple of issues with chart labels. You can add a chart to a Dashboard graphing “Entered by” for the records in a dataset. Useful if Reference transactions or Instruction session data are entered by lots of different people. Numeric fields used in Dashboard charts are SUMmed rather than COUNTed. If a field is used in a Dashboard, you will not be able to delete it from its dataset until you remove it from the Dashboard. LibInsight now uses HSTS, and all API endpoints are HTTPS. If you delete custom chart colors in System Settings, we’ve restored the defaults for you. You can now download all library data from your Gate Count dataset in Analysis, rather than one library at a time. New in LibInsight – Custom Chart Colors! Customize your LibInsight charts to match your organization’s official color palette, or customize Dashboards per review period or project. Define your custom colors at the system-wide level and you’ll see them in your dataset analysis charts, cross-dataset analysis, and dashboards. Head on over to System Settings to set your system colors. If a chart requires more colors than you’ve specified, random colors will be chosen. If the Randomize box is checked, the colors will be used in random order for charts in Analysis, Cross-Dataset Analysis, and Dashboards. Here’s a screenshot of a Dashboard row with custom colors specified for each chart. 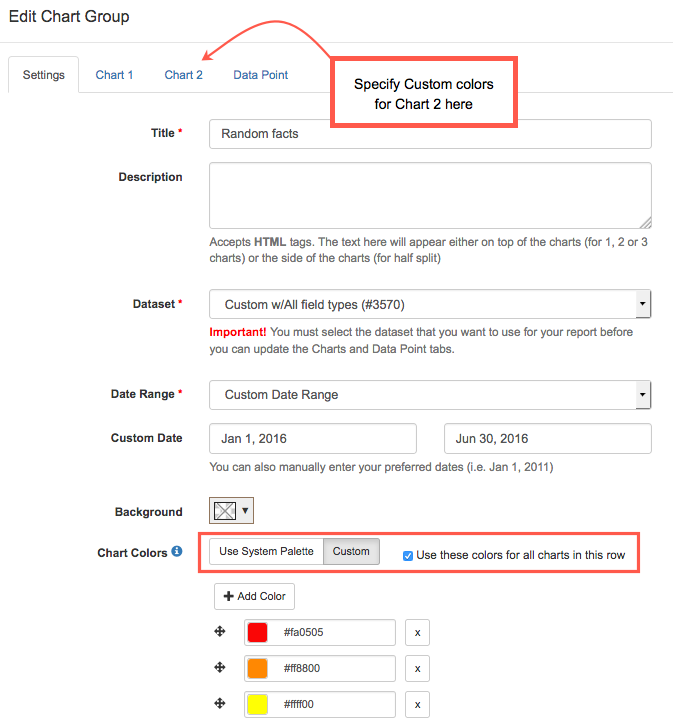 Specify custom colors for all charts in a row on the Settings tab (check the box to apply to all charts), or specify custom colors on the other chart tabs. Hey there LibInsight users, we’ve released a bunch of new features for some summer data fun! Last month we added the ability to attach invoices to your E-Journal & Database and eBook platforms; this month brings more invoicing goodness: line items! Adding line items for individual databases or eBook collections will enable cost-per-use statistics at the database level. With LibInsight, you have all the tools you need to make data-driven decisions about your database, E-Journal, and eBook collections. Adding line items to an invoice is easy! If you have already uploaded JR1 or DB1 reports, those title lists are already associated with your platforms. Just start typing the title, choose the right item, and add the item’s amount. Once this is complete and you’ve added your DB1 reports, you’ll be able to see cost-per-use statistics for databases. Also new with this release is the ability to download your data from Counts/Aggregate datasets. The Submit buttons on Custom Dataset Widgets are “Submit” and “Reset.” If you’re logged into LibInsight, the buttons are “Submit” & “Submit and Clear.” The latter options are useful for busy service desks where form submissions can be similar from interaction to interaction, so we’ve added that as an option. If you’d like to have “Submit” & “Submit and Clear” buttons, just choose that option in your widget’s settings. Also new with this release, we’ve made the Springy Custom Dataset Templates more visible. Everything from Foot Traffic to Reference Questions are right there for the copying. Choose a template name when creating a new Custom Dataset. This will copy the template’s fields into your dataset; you can add your own fields as well. You can add a filter on the contents of Internal Notes when analyzing a custom dataset. Validate your COUNTER file before you upload; a link is available on the Record Data screen for E-Journal & Databases and eBooks datasets. Quickly jump from a Platform page to Record Data with the new Record Data button. 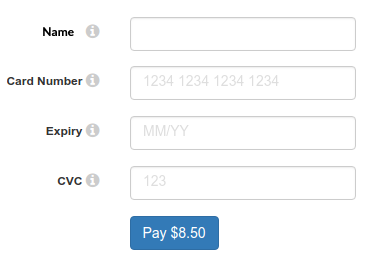 For Numeric or Monetary fields, your “Field Look” choice (5 or 10 characters) will be applied to the Record Data screen. It previously only applied to Widgets. LibInsight: Database-level Stats and a Whole Lot More! We have some fantastic news for Electronic Resources Librarians as we head into invoicing and end-of-year stats gathering season. Are you ready for database-level statistics?? With the latest LibInsight code release, you can upload the COUNTER Database Report 1 (DB1)—either by uploading files or by retrieving them via SUSHI, if the publisher supports it. You’ll notice that the Analyze screen looks a bit different, too, because we changed some stuff up to get database stats into your hands. Just want to grab a file via SUSHI? No problem! Click SUSHI Harvesting, choose your provider and report type, specify your dates and away you go! Do you want to dig into your e-resources data to see which databases are used the most? Which are not really used? Do you have the same database through different platforms and want to keep track of which gets the most use? Which databases get a lot of searches but don’t generate a lot of clicks or views? You can get at the answers to these questions and more with Database Use Statistics! First go to Analyze and run a report on an E-Journals and Databases Dataset. The Overview tab initially presents data for all platforms in your dataset. Use the Searches, Views, and Clicks variables to see data uploaded via PR1 and DB1 reports – if a DB1 report has been uploaded, those platforms will show the number of databases they contain. If you’ve added cost data, LibInsight automatically calculates your cost-per-use. Psssst you can see which journals are contained only by uploading the Journal 1 (JR1) report. To view statistics by database, click Databases > Database Use. The real fun begins below the table that summarizes how many databases each platform has. When you view the database list for each platform, you’ll see the Searches, Clicks, and Views attached to each database. Click the Databases tab > Top/Zero use to see your most-frequently-used databases as well as those for which there are zero stats. You can view these across all your platforms or just rank them within a single platform. We’ve made it easy to enter and find more information about your e-resources platforms. On the All Datasets and Manage Datasets screens, you’ll see a cogs icon in the Actions column for E-Journal/Databases and eBooks datasets. Click that to jump to your platforms list to add new or edit existing platforms. We have also added a bunch of fields as well as easy jump points from a Platform page to its corresponding Licenses, Uploads, and (NEW!) Invoices tabs. Now you can track which SUSHI credentials to use and add URL, user ID, and password fields for affiliated sites, like administration or statistics portals. Last but not least of our big new features this month is the ability to attach 1 or more invoices to your e-resources platforms. Go to the Record Data screen or click the Invoices button on a Platform’s information screen to add, view, and edit Invoices. Currently, you can add a date, coverage dates, amount, and an attachment. Coming soon will be the ability to add line items to your invoices! Line items will be used to calculate cost-per-use at the database level in E-Journal/Database dataset analysis. Already added Annual Cost data in your e-resources datasets? No sweat, that option is still there for those who prefer to enter a single cost per platform per year. This may be simpler for smaller platforms that do not come with multiple invoices. You asked for more options when graphing data in a Dashboard, and we’ve added a bunch! Now you can chart the last 6 or 12 months, last calendar year, this calendar year (to date), or even a custom date to present. The existing options are still there, so if you’re after 2 weeks, 24 hours, or a custom date range, the gang’s all here! Admins were unable to delete or unpublish Others’ dashboards—no more! We have restored this phenomenal cosmic power! If you didn’t use the previous gate count value as the subsequent gate start field, the Daily Total could be off. We’ve fixed this! We realized that rounding up when calculating the bidirectional gate count was resulting in a handful too many people at the end of each day. We’ll only round up at the end of the day, because who wants a half a patron? “Count” on LibInsight to kick off ALA Midwinter week 2017 with a bang! As librarians, we count a lot of stuff! Whether tracking the number of visitors to the library, the number of questions answered at your desk, the number of attendees at your awesome programs, or the number of times your group study spaces are used, there are a lot of numbers you can use to demonstrate the value of your library to your university or board. While LibInsight does some aggregate counting, until now, its power has been in tracking and analyzing transactional data–think individual instruction sessions vs monthly instruction statistics. Weep no more, spreadsheet lovers! We’re so pleased to bring you the Counts/Aggregate dataset type. Monthly collection counts? Check! Daily headcount? Check! Annual event attendance or instruction numbers? Check and check! Stack any and all of your regularly-counted numbers together in one or more Counts/Aggregates datasets. Do you use the Trends tab in your other datasets? Well, now you can analyze trends for the numeric fields in your custom datasets, too! See how the totals of your numeric fields change year-over-year, graphically and in tables. In the screenshot below, we see that use of the Springy Hometown Library Reading Room was up by almost 6% in 2015 over 2014 but slipped by just over 1% for 2016. Have suggestions for additional Trends or other analysis for Custom Datasets? Click the Support tab on any page in your LibInsight site to drop us a line. Add the “Entered by” field to your dataset widgets to record who’s entering data. If Required Fields aren’t completed on Submit, these are highlighted. Allow “Null” values in Gate Count hourly datasets–no zeroes required! Added a date/hour picker for the Multi-Gate option in Gate Count widgets. You can now download your Gate Count data. More flexibility with setting your preferred fiscal year dates for analysis. Set this up in Admin > System Settings. Field order of CSV Exports now reflects your custom field order. We made SUSHI error messages easier to read. While both visualize how different answers compare to one another, stacked charts have the added bonus of indicating the rough total for each option. Stacked charts are available for Bar, Column, and Area charts. They’re only available for Custom datasets right now, but we’ll be bringing these and more to other dataset types. Do you find it annoying to have to find and copy the URL for an LI widget to see what it’s going to look like? We did too! There’s now a preview button that will open your widgets in a new tab. Attach license (and other) files to your database, e-journal and eBook platforms! Before this release, the system date fields for Custom datasets in LibInsight were always named “Start Date” and “End Date.” This often added a couple of steps to the upload process, if the names of your date fields did not match these exactly. Now when you create a Custom dataset and map your date fields to the system date fields, your field names will be retained.